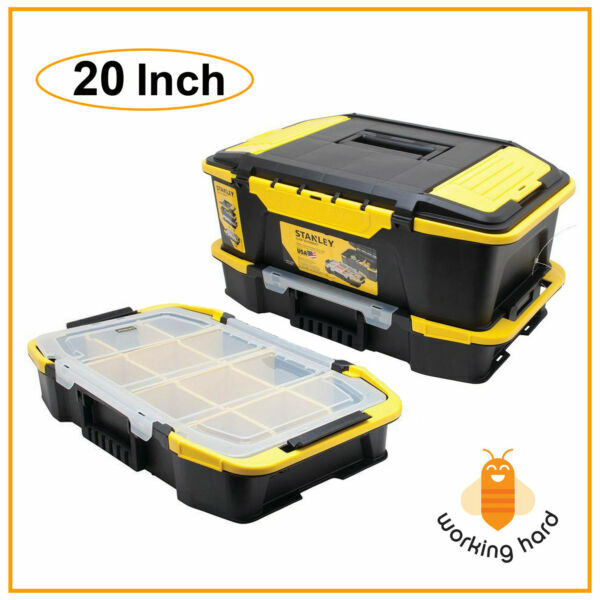 This Stanley Tool Box Organizer has removable dividers for customized organization of tools and parts. The unique shape allows for easy access to both hand and power tools. The 1-hand Latch Operation enables the easy connecting and detaching functionality. User can store small parts and accessories in the Lid Organizer. Stanley products are built to last.